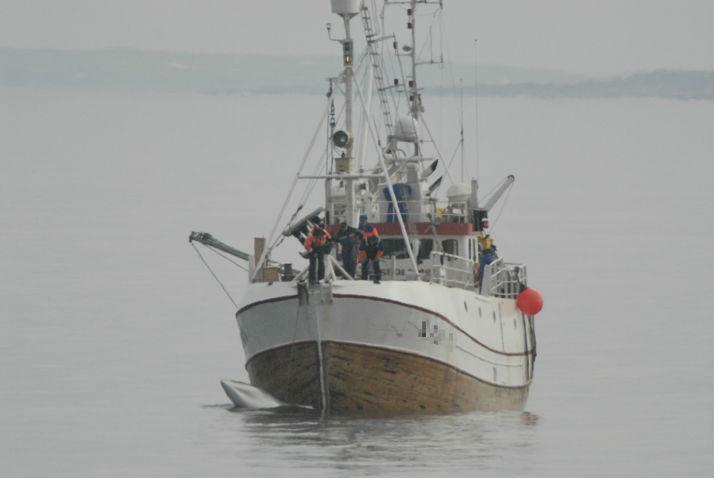 As the Norwegian whaling industry prepares for the start of the 2019 whaling season, it is time to yet again scrutinize operations that are widely and strongly condemned on animal welfare as well as ecological grounds. With no domestic market for the meat Norway's government subsidized hunting of minke whales is now mainly for use as animal food in Norway and for export to Japan. The Environmental Investigation Agency (EIA) and Animal Welfare Institute (AWI) previously released documents that indicates Norwegian fur farms have used minke whale meat to feed animals raised for the country’s fur industry. In 2014, more than 113 tonnes of whale meat (equivalent to the amount of marketable meat from 75 minke whales) was delivered to Rogaland Pelsdyrfôrlaget, the largest manufacturer of animal feed for the Norwegian fur industry. The organisations are calling for an end to Norwegian whaling. Up to 880 minke whales will be slaughtered this year, despite the declining demand for whale meat in Norway. In the past, unwanted whale meat and blubber have been used by the Norwegian pet food industry, dumped overboard or burned. Norway’s whale hunt, which is heavily supported by the Norwegian Government, is conducted under an objection to the 1982 International Whaling Commission (IWC) moratorium on commercial whaling. The 2016 self-allocated quota – expected to be in the vicinity of 880 whales (down from the 2015 quota of 1,286) – was set by the Norwegian Government using a formula that IWC scientists deemed “insufficient” in terms of its conservation performance. It ignores a 2001 IWC resolution that called on Norway to cease all whaling and trade in whale products. Since 2012, Norway has killed more whales per year than any other nation, and for the past two years has killed more whales than Iceland and Japan combined. It has also increased exports of whale products in defiance of an international ban on such trade – shipping 172 tonnes of meat and blubber to Japan since 2014. 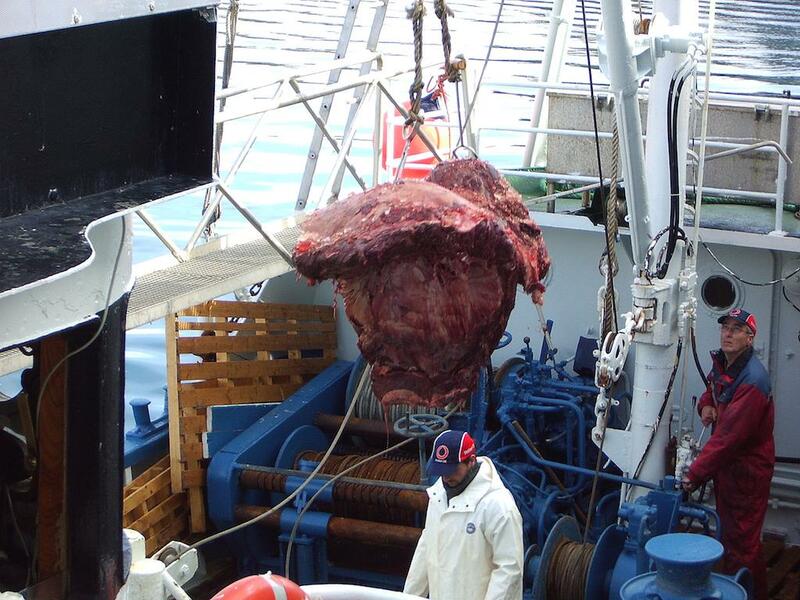 Additional documents obtained show that inspectors from Japan’s scientific whaling company, Kyodo Senpaku, have accompanied a number of Norwegian whaling trips –presumably in an effort to alleviate concerns regarding contaminated Norwegian whale meat entering Japan. In 2015, Norway exported 258 and 1,000 tonnes of fox and mink skins, respectively, to the European Union, with the majority imported by Denmark and Finland. EIA and AWI join the Swiss-based organisation OceanCare and the German organisation Pro Wildife in urging IWC member countries to take action against Norway for its escalating whaling and trade. Norwegian Whaling Vessel (c) EIA Whalemeat being unloaded from a whaling vessel, Norway. Taken during the Norwegian Whaling Undercover Investigation, May 2005.